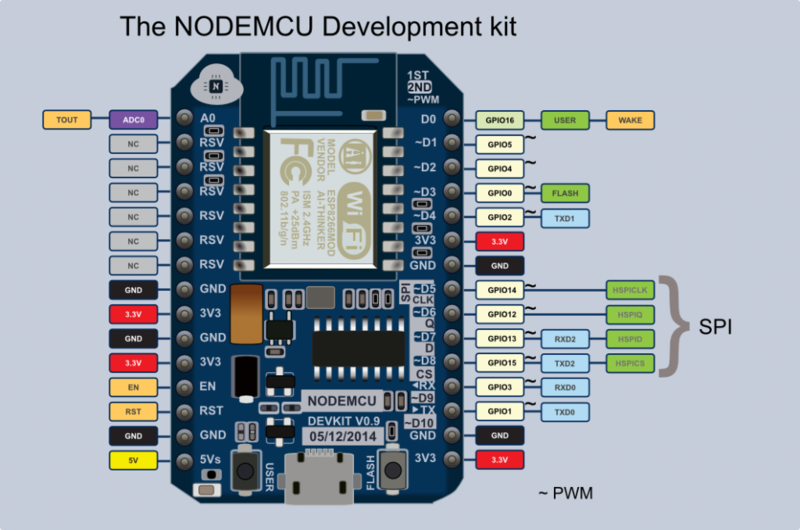 ESPduino=Arduino+WiFi, which can be compatible with Arduino UNO R3 with WiFi. installation of ESPduino IDE. In fact, this manual is suitable for other ESP Arduino UNO R3. software installation software in the following link: http://en.doit.am/espduino.php. including the package of ESPduino, as shown in the following Figure. l Port: decided by your computer, which can be found in the device manager. ESPduino IDE, we should verify the Arduino IDE, which can be done by the Blink example. Note that, Please choose the Blink example from the ESP8266, shown in the following. Verify the Blink example, it can be passed successfully. This step is very import. Before upload it, in the ESPduino development board, there are two buttons: FLASH and RST (means reset), shown in the following Figure. When upload the code to ESPduino development board, please confirm ESPduino is Uploading state by the following 2 metods. b) If the ESPduino board don’t power by connect the computer with usb cable, then one can firstly press the FLASH button, then power the ESPduino board by connect PC. Then the ESPduino board can also enter into the Uploading state. Then one can upload the code to the ESPduino board. principle is the same for the Built-in mode of ESPduino. This is because ESP8266 can enter into the built-in mode when states at low power, as shown in the following Figure. your PC, you can update the IDE into ESP8266 version by the following github link, which also present the newest updated information. i bought the ESPDUINO www.doit.am with one switch not two, when upload the example-esp8266-blink, i got the error"
i can't upload any thing.